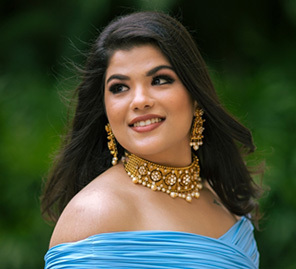 Riya evolves into the bride that she has dream of being with Weddingsutra Favorites. 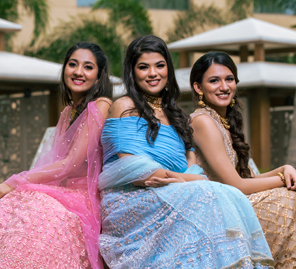 WeddingSutra, in collaboration with AZVA and Lakmé Absolute, brings you WeddingSutra on Location – a curated showcase of top bridal trends and style statements from some of the WeddingSutra Favorites. WeddingSutra’s most popular bridal initiative ‘WeddingSutra On Location’ took place in the wide, open spaces of the JW Marriott Mumbai Sahar. In the first of this three-part series, bride-to-Riya gives wings to her imagination to achieve the bridal look of her dreams. A wedding is a once-in-a-lifetime celebration that deserves the finest – whether it is clothing, jewellery or just the entire experience. Riya got to enjoy a little amuse-bouche of her upcoming big day with a chance to play dress up in creation by designer duo Chamee and Palak. The handcrafted collections from AZVA offered her a choice of baubles that went perfectly with her clothes. 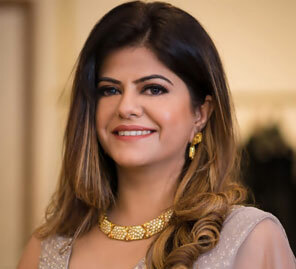 Then, makeup artist Sejal Sachnakul of Makeovers by Sejal created for her a soft visage that exuded a romantic appeal using products by Lakmé Absolute and styled her hair to seal the deal. As Riya indulged in the day of her dreams, photographer Kartik Bhagat of Dream Diaries captured her moods and expressions deftly. 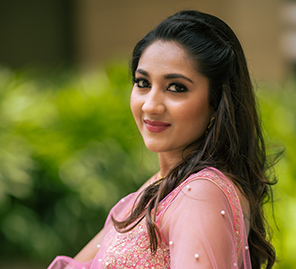 Makeup artist Sejal Sachnakul began by applying the Lakmé Absolute Argan Oil Serum Foundation in Rose Silk to perfect Riya’s complexion and give her a radiant glow. Using the Lakmé Absolute White Intense Wet and Dry Compact she set the foundation, creating a clean canvas for her to work on. To draw attention to her eyes, she used the Lakmé Absolute Precision Eye Artist Kajal in Black and added body to her eyelashes with the help of Lakmé Absolute Flutter Secrets Volume Mascara. By lightly applying the Lakmé Absolute Sun Kissed Bronzer she brought some color to her face and completed her look with a pout created using Lakmé Absolute Argan Oil Lip Color in Buttery Caramel.